Running has been a way of life for Bart Gordon. But soon the races will come to an end. Gordon has entered and won the race for Tennessee's Sixth District Congressional seat 13 times, and won every time, often handily. 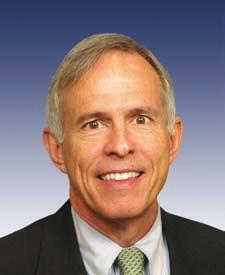 Gordon, 61, has also been the fastest runner of foot races in Congress for 20 years. Most recently, he defeated Congressman Aaron Schock, 33 years his younger, at the Capital Challenge Charity Race. Gordon's political career, in fact, has been more of a marathon than a race. Ronald Reagan was entering his second term as president, and Al Gore, Jr. was eight years away from becoming the vice president, when Gordon first became the Sixth District Congressman. But Gordon has decided to put away his running shoes, as least as far as political races go, at the end of this year. He leaves behind him a large field of contestants for the seat in the U.S. House of Representatives he has held since 1985. On the list of runners are seven Democrats, seven Republicans and five Independents. The Democrat and Republican contestants will face off in primary elections on August 5, the same day as the Cannon County General Election. Winners will advance to the statewide election on Nov. 2. To keep up with the latest election news, you can visit the Web site of the Cannon County Election Office at http://cannoncountyelection.blogspot.com/.